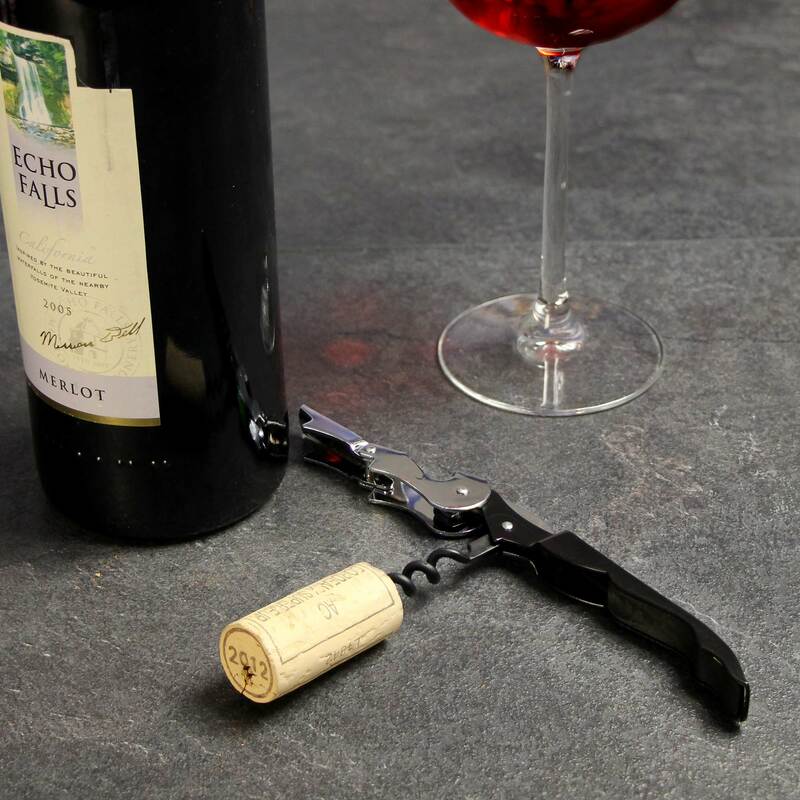 The Double Reach Waiters Friend's ingenious, double-hinged 2-step boot Lever helps lift the cork along a straight vertical line - no straining sideways against the bottle neck! Insert the spiral and seat the shorter notch of the boot lever on the bottle rim and lift the cork part way. Adjust the handle to seat the notch of the longer boot lever segment on the bottle rim. 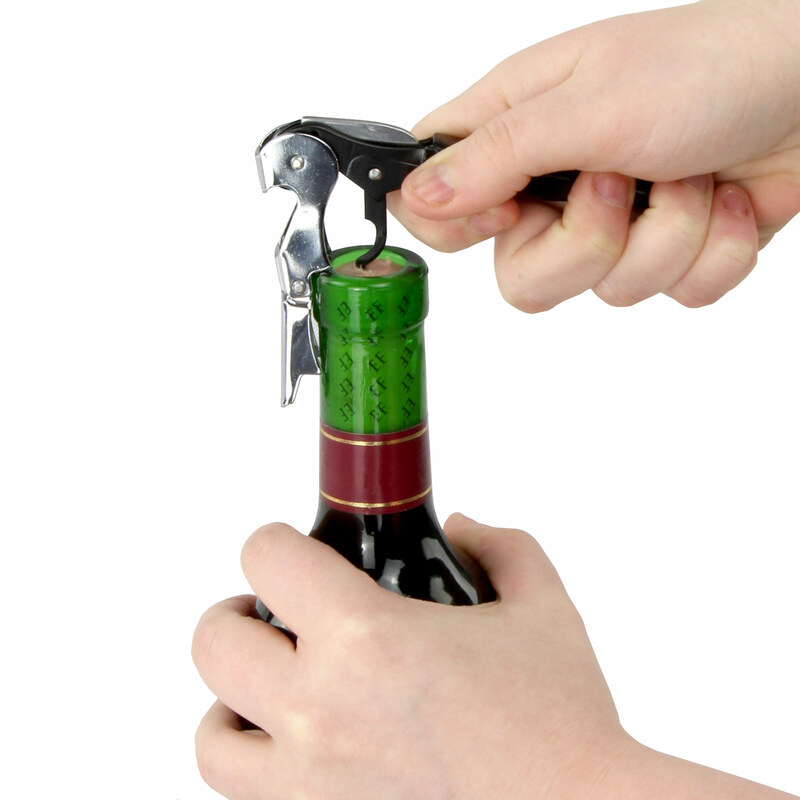 Lift the handle again, and the cork rises perpendicular to the bottle. There is also a bottle cap opener! "Easy website to use and to order, quick delivery, no problems with bottle openers"
"Very light and sturdy, easy to hold and oped bottles with. Great and quick delivery service too, thanks"
"I've had this for about a year, heavily used at many a party and barbeques. Doesn't seem to be showing any major signs of damage. 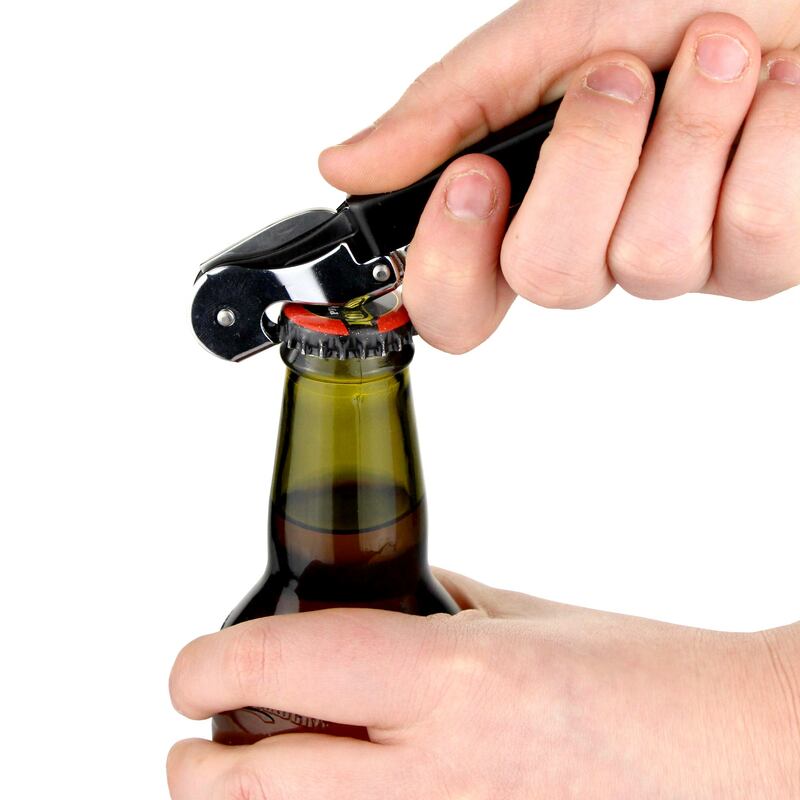 Good product for a good price, well worth it, even if you're not going to be pulling many corks it still makes for an excellent bottle opener!" Drinkstuff says: Many thanks for your review Jake. As a thank you we've added 5 points to your drinkstuff account, which is equivalent to £5 off your next order. "There are cheaper ones on the market but this feels more solid. I am a freelance bartender doing busy events so toughness is important and this fits the bill. I used to use a single reach one but this double reach makes life a lot easier."